Martin Freeman played Bilbo Baggins in the “Hobbit” trilogy, Mr. Watson to Benedict Cumberbatch’s “Sherlock,” and the CIA officer in “Black Panther.” His new film, “Ghost Stories,” is a horror anthology -- he portrays a wealthy businessman haunted by a poltergeist. Bird scooters: Great new transport or dangerous nuisance? 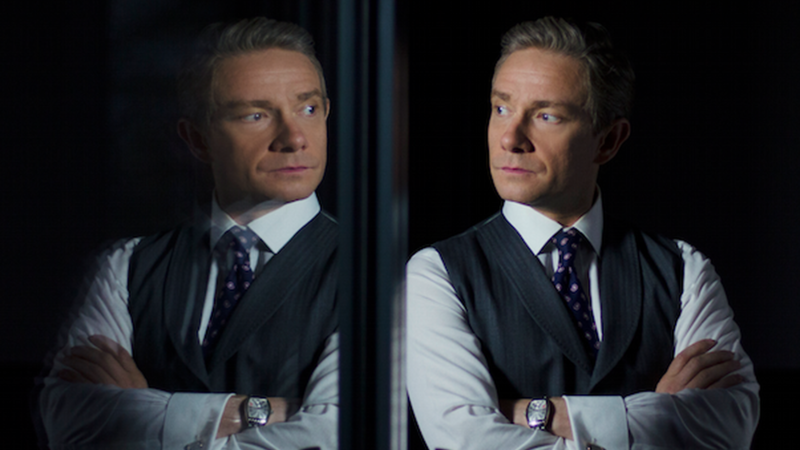 Image of Martin Freeman in “Ghost Stories.” Courtesy of IFC Films.